After nearly 2 years in production, our baby is finally ready to meet the world! And to have TOP GEAR PHILIPPINES actually unveil the official trailer of this indie documentary on the American Muscle Car scene in the Philippines. And just reading the excited comments of car lovers, enthusiasts and hobbyists alike, is instant gratification to the highest level! Please watch out for the full release of our first full length documentary, "MOTIV8TION - An American Muscle Brotherhood in the Pearl of the Orient"
Thank you TOP GEAR PHILIPPINES, for warmly receiving this film! A megacity of 14 million inhabitants engrossed in tropical climate, horrendous traffic and bad roads. In the middle of it all, a group of people who share a common interest and find unity and brotherhood through the enjoyment of restoring and driving of vintage American muscle cars. This documentary is all about the passion that lies within a community comprising interesting individuals of different nationalities who still celebrate eternal beauty combined with horse power and torque. Discover the Philippines as an unknown stronghold of automotive lust and undying love for the V8 powered beast. Explore some of the radically distinctive workshops and the unique Filipino craftsmanship that makes automotive dreams come true. 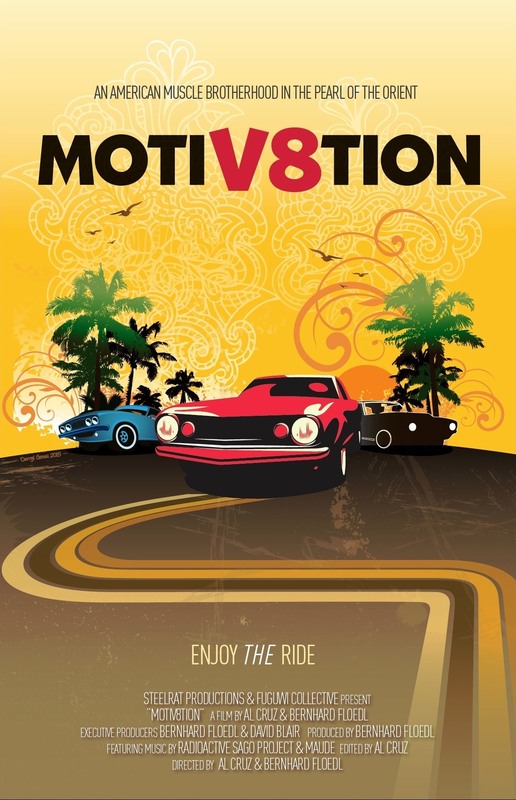 Take an arousing and colorful journey to meet the exciting cars and their owners and learn about everyone’s “MotiV8tion”.